Talks on the Stories of Chuang Tzu. OSHO revitalises the 300-year-old Taoist message of self-realization through the stories of the Chinese mystic, Chuang Tzu. 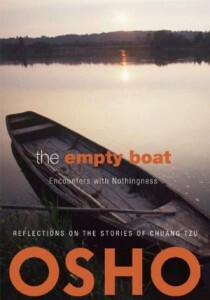 He speaks about the state of egolessness, “the empty boat”; spontaneity, dreams and wholeness; living life choicelessly and meeting death with the same equanimity . Available in a beautiful new edition, this series overflows with the wisdom of one who has realized the state of egolessness himself. I have never seen such a nice blog in my life. I Rank this blog Top 1 ever on the net.